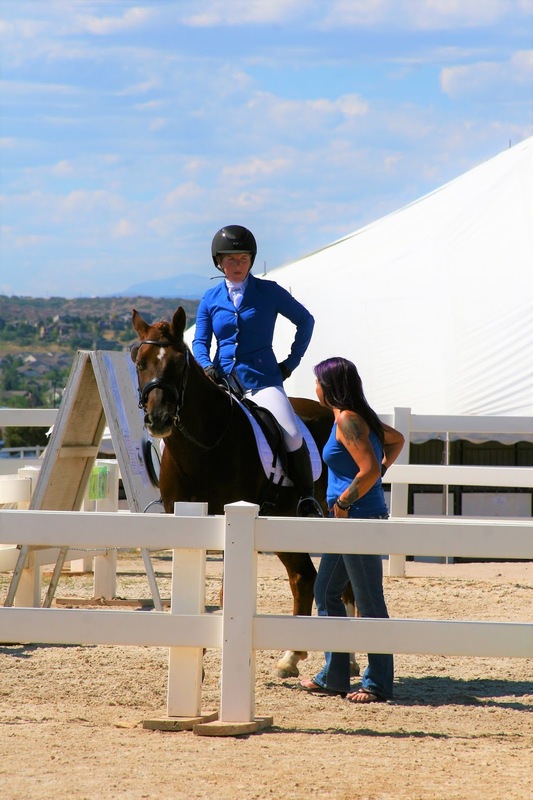 Last weekend Connor's breeder Lisa and I flew out to Denver to watch two of her ponies compete in the Rocky Mountain Dressage Society Regionals show. And we had a BLAST! By far the highlight of the weekend was meeting blogger Erika and Castleberrys Gavin. I met Gavin on my very first trip to Lisa's farm in early 2010, but I had never met Erika before. Lisa and I commented that it felt like we'd known Erika our whole lives, she was so easy to talk to. I brought my DSLR with me and took thousands (possibly literally...) of pictures of the two of them showing. 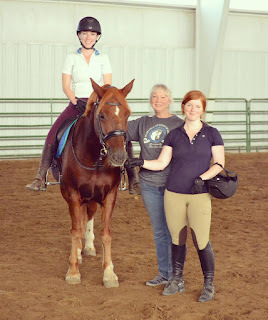 I'll let Erika show those off (just peer pressuring you into blogging again, NBD 😀 ) but I definitely wanted to tell the story of visiting her lovely barn and riding Gavin before the show on Friday night! Gavin showing off some stretchy trot! She will have to tell the story of how she picked Gavin sometime on the blog, because it's a cool one! 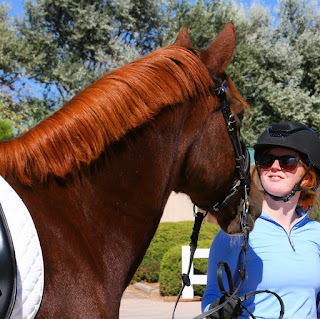 After she rode him for a while, she handed the reins to me. At first I wasn't very assertive with him, since I'm so self-conscious about riding other peoples' horses. But then she told me "You have to make him do things at first", and once he knew I was serious, we really started having some fun. 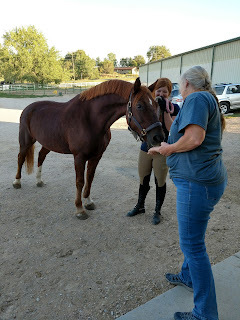 Gavin is the 10th Castleberry Cob I've ridden, and I was struck by just how much riding him felt like riding his and Connor's sire, *Tuscani Dundee. 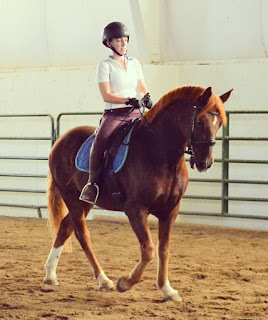 I'm still having a hard time describing it, but there's a lot of air time in their gaits and they feel more like riding a big horse, not at all like riding a pony. Neither one of them feel anything like riding Connor, who is a carbon copy of his mother in every way. Horse is not downhill at all, the camera is crooked! Erika has done a fantastic job with this horse, and I really think they might end up going farther than Connor and I. Gavin has a fantastic walk, a super active hind leg, and she's done a great job with the contact with him. They're going Training level now, but schooling most of First and you can tell they'll be ready for a move up in the not-too-distant future. Gavin is a very stout fellow compared to Connor, despite being just over an inch taller than him. My hips hurt after I rode him. If you're in the Denver area, look her up, she's awesome. I had such a great time this weekend! I'll definitely be coming to Indiana for Cobapalooza! So fun! I love that the breeder stays so involved with her horses in their new homes! That is awesome! What a lovely horse!